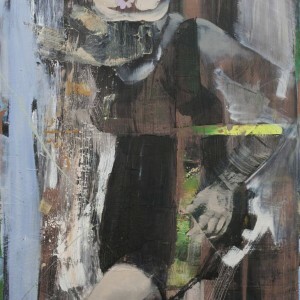 Bartosz Beda is an emerging Polish artist currently living and working in the United States and the United Kingdom. He earned a BFA and an MFA from the Manchester Metropolitan University. 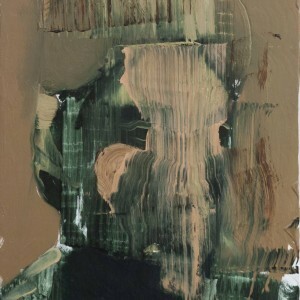 Bartosz is interested in mark-making and the gestural and tactile nature of painting itself. 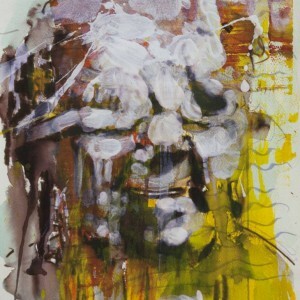 His portraits and figurative works are explorations of the relationship between daily life and the human psyche. His background in film and animation also informs his practice–he usually begins a work by culling archived images, both found and personal. 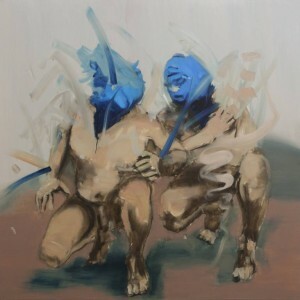 Bartosz was the recipient of the Towry Award for the Best of the North of England and the Caitlin Art Guide Most Promising Emerging Artists in the UK in 2012. He also received a scholarship from Manchester Metropolitan University to attend the Academy of Fine Arts in Dresden, Germany. He has been shortlisted for several awards including Saatchi Art’s New Sensations Prize (2012), the Title Art Prize, the Door Prize, and the Combat Art Prize in Italy. Bartosz has an extensive international solo and group exhibition history, with works shown in countries including Poland, Germany, Spain, the United States, the United Kingdom, and Colombia. His works have also been featured in numerous publications including The Independent, A-N Magazine, The Guardian, The Telegraph, and BBC Radio 4. I do well with portraits, interiors, and figures. I am interested in mark making, and I also scratch and apply paint repeatedly on the surface. I usually start with images that were either found randomly or taken by me. When I say that I found images randomly, I mean that there are always certain thoughts and decisions taken, even if they appear to be random when I talk about image selection. There is always something that drives me to make a new work. 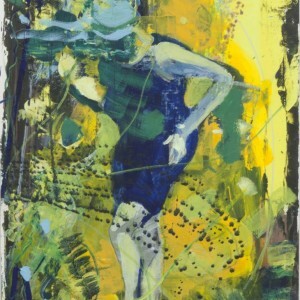 The process of making a painting starts with rendering a figure or object drawing using a thin brush with paint. Then I move to dark colors and lighten them up during the process. I spend some time on making a detailed painting, and then I use of a wide variety of tools to scratch the paint completely from the surface. I proceed by building the painting up again in color, form, and composition while using previous elements of the painting. This is, for me, a working process of finding satisfactory results for each painting. It is kind of an agreement between me and a painting. Once I decide that the piece is done, I move on to the next one. I am trying to focus on two problems of painting right now. The first one is to find out what painting is, and the other is to find the way of making paintings. In regards to the first part, I always learn something about a painting and discover what it means to be a painter. For the second, I make paintings in the studio, and by this I mean I experiment and find new perspectives on a two dimensional surface. I look at other paintings and at what is more important to me – I am looking at my paintings all the time, so it allows me to go into action. Action is painting. At the very end of the process is the part I call a “chocolate cake.” I perceive humanity as a chocolate cake, where beneath the “iced” surface lays those more intriguing and challenging mixtures, with fears and social pathology. This statement is reflected in my work with its own destiny toward its own freedom. It is about its own identity and distinction and evaluation in its process of creating each painting. Don’t hang your work too high. I spend all my days mostly alone in the studio, so at some point music is a nice thing for my ears, but I can make great things in silence. Silence allows me to pay one hundred percent absolute attention to painting. I can’t imagine writers writing a bestseller with non-stop loud music. Similar rules apply to my studio. I need my studio to be a sanctuary, where I can be loud with painting. It is just a personal preference with certain spaces for music. Art leads me to my own independent reality of social life and engagement, and it is a life of its own. In general, silence and music help me conquer absolute, pure painting. With or without music, I concentrate all my efforts on painting and the results. Music or silence can’t interrupt my integrity with painting and either of those is there only to avoid distractions. I would have to think about it. I would like to own a Mark Rothko, but this might come from my limited experience with painting. I have seen thousands of art works, but I have not seen all, and perhaps I have missed something interesting. I am too young to decide about having only one piece of art. It’s not that I can’t decide or I don’t know, but I would like to see more art before making that decision. Everything is about making decisions and it’s good to be able to make the right ones. I would have to think about this even more. At this moment, I don’t have my favorites. I can recommend Seneca.